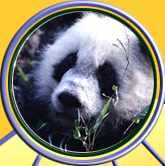 Welcome to the PandaCorps™ website. We are glad you came to visit. We have lots of fun activities and interesting things to do here. Have fun and check back often to see all the cool things we have in store for you.